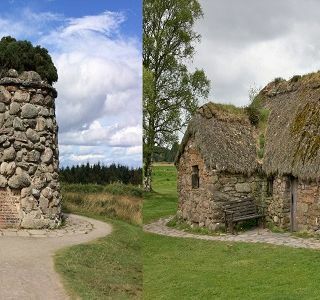 The Battlefield of Culloden is found in the Scottish village of Culloden. The battlefield was the scene of the Battle of Culloden that would be the final confrontation of the Jacobite rising of 1745. Causalities were high leading to paranormal activity and there are stories of omens, premonitions and The Scree. The Moment in Oddity was suggested by John Michaels and features French Stilt Walkers and This Month in History features the first Virginia Company Expedition leaving London.